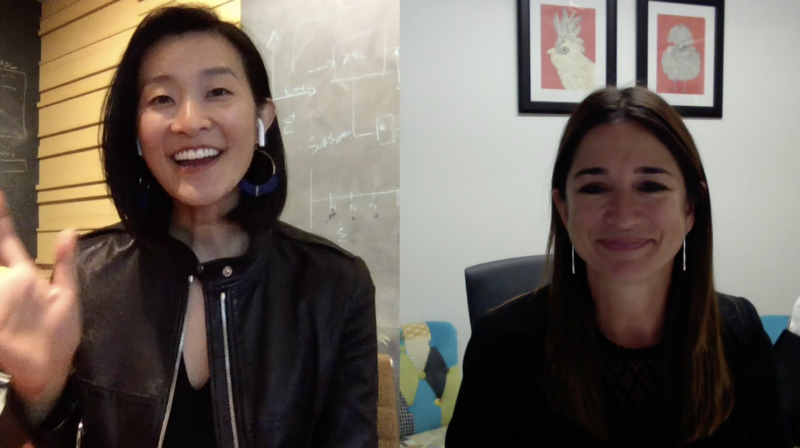 An expert on employer brand and recruiting at the 900+ person company, Mailchimp, Aynn shares what she wishes she learned earlier. Claire: Hi, everyone. 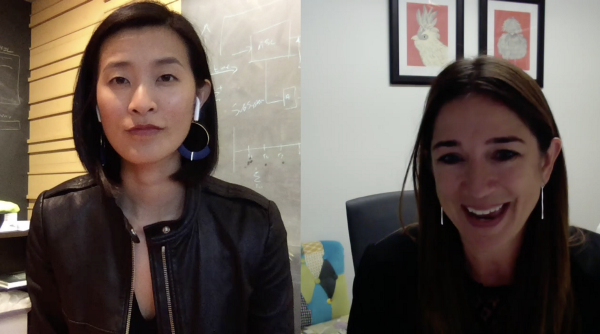 I’m Claire Lew, and I’m the CEO of Know Your Company, and today, I am so excited to have with me, Aynn Collins, who is the Director of Talent Strategy at MailChimp, possibly one of my favorite companies and a lot of people’s favorite company. I happened to meet Aynn at a conference this past year in Austin, and it was amazing to hear, first of all, what her role is in the organization. As the Director of Talent Strategy, with MailChimp now being 900 people and counting, she manages employer brand and the employee experience. I’ll let her talk a little bit about that, but really excited to have her here and to ask her this one question about leadership. Aynn, thanks again for joining me. Aynn: Thank you for having me, Claire. I enjoyed meeting you at Culturati Conference as well, so I’m flattered you wanted to talk to me. Claire: Oh my gosh. Of course. All right, Aynn. I’ve got this one question for you about leadership, and it’s if there’s something you wish you would have learned earlier as a leader, what would you say that is? Aynn: That’s a really good question, so kind of talking to my to my younger self about leadership, it sounds like you’re asking me. That’s funny you asked me that because here at MailChimp, I end up talking with a lot of employees here about things I learned early in my career, whether it be leadership management style, feedback, what-have-you. I think I would tell my younger self to really embrace failure. You learn much more from a single defeat than from a thousand victories. Obviously, nobody’s excited about failure or not meeting a goal, but not sweeping that under the rug and talking about it, so just really embracing failure and understanding how you learn and grow from those failures, I think is what I would tell people to learn early in their career. They can own failures, talk about them, debrief with your team on, even if the whole project wasn’t a failure, what that have done better, and not try to just make everything shiny and pretty. Because we know business and leadership is not always perfect, and shiny, and pretty. We all have failures all the time personally and professionally, and I think that’s something that I really encourage people to talk about. In fact, yes we introduced a really cool program here last year. Part of my role is employer brand, so really amplifying what makes MailChimp a special place to work to the outside world. I think the key to an authentic employer brand is making sure that you’re really telling the true story, like don’t make it too perfect. Make it who you are. The best way you do that is to get employees out in the wild talking about MailChimp, whether it be technical talks or speaking about our culture or just being an ambassador when you’re out a conference or out in the wild. 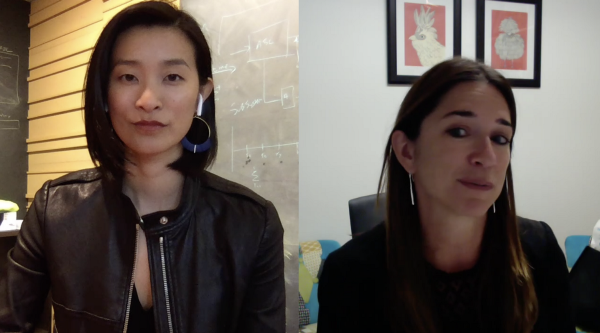 We have this really cool speaker training program at MailChimp, and one of the things we did last year is introduce an internal program called Fail Tips. It’s basically a lunch and learn format where six to eight employees do a five-minute or less talk on a personal or professional failure. You wouldn’t believe the waiting list I have for people that are willing to talk about their failures and how they learned and grew from that. Yeah, that’s definitely something I think we’re doing well at MailChimp is looking at how we can do things better and not sweeping the things that didn’t go well under the rug. Claire: Absolutely. I love this topic of failure when it comes to leadership because I think you talk to some entrepreneurs and some leaders, and they’ll tell you that they actually don’t really even believe in the word failure and that there’s no real failures but all they really are really expensive mistakes. A lot of leaders actually even reframe the way they look at failure as just saying, “Well, no. This is just how you actually learn.” Failure has just such a negative connotation, and so I love your emphasis on this. I’m curious, Aynn, so for you personally in your journey and career as you become a leader, when did this click for you? Did something happen or did you watch something unfold or did you experience something where you went, “Oh my gosh, I need to wake up and make sure that I’m not sort of sweeping failures under the rug”? When did it really hit you how important this was? Aynn: I’m not sure there was a specific “aha” moment. You’re still feeling the pain of the failure about four or five different things but I can remember, at a different company, this is not at MailChimp, where I was head of recruiting. We had to hire. We were hiring a leader in a role that was sort of struggling. It was a young startup, and we felt like we needed somebody with a stronger personality to really motivate people. We interviewed and hired a woman that had a very strong personality that, at the time, seemed like the fix. Once we got her in and on-boarded, it became apparent quickly that her style was just too different than our cultures and that she wasn’t listening to that culture and sort of adjusting her style, and instead of motivating the employees, which is what we really wanted her to do, she was demotivating. Our executive team at that company made a really good quick decision to go ahead and terminate that relationship, and then talked to that team about our failure to them. I think being very, very clear about we made a mistake and this is what we’re going to do differently in the next hire, we’re going to listen to your feedback because there was some concern from this person’s direct reports during the hiring process that it was too different than our style, and we glossed over that. They were very appreciative of that. I always feel like, that even here at MailChimp, when we push something too hard and didn’t get the right feedback, when we stop and listen and say, “Wow, you were right. We really should have asked you before we implemented this policy. Let’s change it,” you get this level of forgiveness and trust from your fellow employees when you admit that failure and adjust that you just can’t buy. That’s probably the best way we’ve built trust here and in other roles is by admitting our shortcomings and adjusting quickly. There’s a story of many years ago where a hiring failure sort of taught me a lot. I actually, in between that company and coming to work for MailChimp, I had a small business failure, so I started a line of clothing for mothers. It was clothing and fun accessories. It was going very well, and then 2008 happened. I decided to close that business. It was very painful because I had really aligned myself with that brand. I was very proud of that, but I made a tough decision to quickly get out of that, and that was that. It was really hard for me. It’s still sometimes hard for me to even see references to that part of my life and be like, “Oh, that was so …” but what I realized actually when we did this fail tips program, and I bared my soul to the MailChimp employees and told them how hard that was is that, well, it led me to MailChimp. MailChimp’s vision is to empower small businesses. It’s to empower the underdog, which in our definition is small businesses, so I feel that pain. I can empathize with small businesses now, and even though my role is not directly product focused, it makes me really aligned with the company I love. If I hadn’t had that small business failure, I wouldn’t know the things small business owners have to do every day just to keep the lights on. That failure led me to MailChimp. I know I’ll have more failures, right? I think I’m that more resilient. It made me that much more humble. It makes you think. It makes you get more input and feedback before you make decisions. I am not a failure but I embrace failure. Claire: Absolutely. I mean, I think both those stories are sort of amazing windows into understanding how unexpectedly, failure leads you to your point of greater feedback, greater insights, better decisions, and then also just ultimately a better path for what you want to be doing. In the moment, it never feels like that. Let’s be clear so that everyone who’s watching, it never feels like that in the moment. 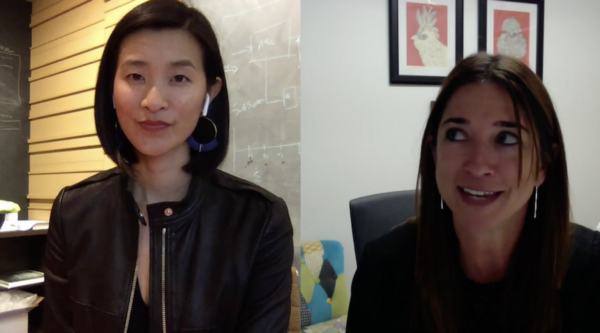 Claire: Yeah, so my question to you, Aynn, is then for current leaders and aspiring leaders who are watching this and who struggle with being vulnerable, who struggle with … who maybe, I mean let’s be real. They’re in a high-pressure situation. There’s maybe a lot of money on the line. There’s a ton of competitors. Everything needs to be moving really quickly. They’re trying to attract and retain the best talent. How can you afford to be admitting all the time all your mistakes? What would you say to anyone who’s watching who’s skeptical about sort of doing this in practice? In theory, it’s great. It sounds good. Maybe doing it here and there once in a while is good, but you’re talking, I think about being a lot more rigorous about admitting shortcomings and failures. What would you say to anyone who might be sort of skeptical about doing this in practice? Aynn: Yeah. I think with anything, you have to apply sparingly. Your team needs to have confidence in you, and we certainly don’t have to show every bit of vulnerability but vulnerability goes so far in leadership, I think. I think what I found is when I have leaders that I work with or support do admit failures or shortcomings or missteps, sometimes it’s just a misstep, it’s not a full failure, that you really get this loyalty from your employees that, again, I think I said earlier, you can’t buy or you can’t teach. It really rallies them to get behind you and help you and the entire organization not let that happen again because failures should not be repeat failures. You should learn from every failure and think about how you’re not going to let that specific failure happen again. If you have confidence in saying, “This is where we screwed things up. Here’s how we’re not going to do it again,” I think you get the most amazing engagement with the people you manage and lead. Claire: Absolutely. I think as leaders, we can be often hyper self-critical so to sort of admit every single small dent in the porcelain isn’t what we’re going for here, but to your point, I think one of my personal greatest sort of moments of progress that I’ve made as a leader is I remember we made a really big mistake with Know Your Company maybe three or so years ago with our code base. We accidentally revealed all these private answers that people weren’t supposed to see. It was this huge mistake, and it affected hundreds of CEOs. There were two options. We could either tell folks that this happened because people weren’t aware — no one noticed it. Or, we could just not say anything and just fix it and move on. The minute he said that, that’s when I knew what I was going to do. I decided to be really transparent about what happened. I told all our customers exactly what happened, and the response was fascinating. I braced myself expecting it to be angry, and to your point, it was the exact opposite. People were so appreciative. They said, “Claire, thank you so much. Mistakes are made while you’re doing work. Don’t even worry about it.” It created this greater sense of loyalty. Almost what that story to me makes me think about is it’s not just asking the question what kind of company do you want to be, but it’s also asking the question what kind of leader do you want to be. To your point, Aynn, when you’re in those moments of, “Oh, should I say something or should I not?” asking that question can hopefully help people decide whether or not to divulge something, so thank you for, yeah, for sharing that. Aynn: Yeah. I think that’s a great story, I always tell I have two teenage daughters, and I tell them a lot. I’m sure they get annoyed by it. That is an example of being good in real life. I think people trust you. I mean, your customers probably have this greater sense of trust with Know Your Company when you’re going to tell them something like that. Aynn: It’s such a great story. Claire: Well, thank you. You fall flat on your face and you learn from it. One last question for you here, Aynn, because you are such an expert around thinking about the employer brand and how you, to your point, take what already exists within an organization and expose that outward. When it comes to being vulnerable, when it comes to failure or just in general, what should leaders who are watching this who unfortunately don’t have you on their team and a director of talent strategy on their team, what are some things that they should be thinking about, small things, big things, to create an employer brand that really reflects what their true experience as employees are? 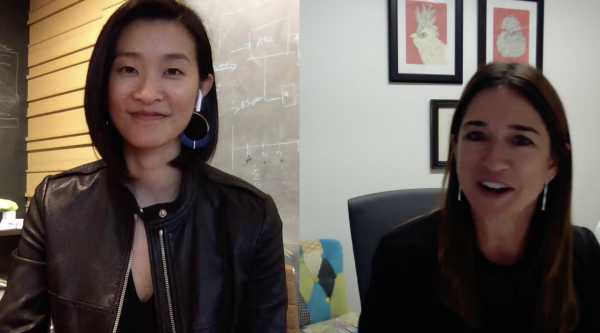 Aynn: I’ve been in this role two years at MailChimp, and I handle things from what does our jobs page look like to from a social perspective, how do we show what life at MailChimp is like, to how do we show up at conferences. For instance, we are a huge fan of the Grace Hopper Conference. It’s all female engineers once a year. How do we show up there authentically and really support, not just hiring people but the community? MailChimp’s very into community and supporting community side of things, and how do you do that in a way that attracts people that would be a great cultural compliment to MailChimp but that is true to who you really are? Knowing your company. There’s a little pitch for you. Really understanding what your values and vision and mission are and making sure that’s woven into everything you’re putting out there about your employer brand. Really, I think the mistake a lot of companies make is making it glossier and prettier and idealistic like what they want to be. I think it’s much better to put a great realistic view of what it’s like and how people get here, decide to join you and buy in that it’s actually much better than they even thought and that you really are living true to those things. Not pumping things up too much, not selling perks and things that aren’t that important to your culture but really selling like, for us, it’s that connection with a small business owner. It’s being really engaged in community. It’s giving employees impactful things to work on. It’s not the ping-pong table because we have that. It’s not the benefits that we have are great. It’s really the type of work and the type of people, and the engagement you’re going to get here. Aynn: Talk to your new employees. You’ll get a great feel how your, what your employer brand is like if you get them in the first week and then say three months later to say, “Are aligned to what we’re putting out there? Claire: Right. No, I love that asking that question two to three months later of what surprised you now that you’ve been here. That really uncovers what’s the disparity between your perception of the company and then the reality and then doubling down on, okay, what’s real. I think that’s immensely helpful. Well, Aynn, thank you so much. Claire: For your thoughts. I’m sorry. I kind of cut you off there. Aynn: No. No. I was going to say like I think especially today when so many are so focused on diversity and inclusion, and especially the inclusion side of things, that’s really important, your brand. Did people feel like they’re part of the story when they get here? Claire: Absolutely. Absolutely. Thank you so, so much for everything you shared. It’s so helpful to think about and rethink failure, and make sure that we’re prioritizing how we talk about that. Then, so many great insights about making sure that our brands as companies are true, and not just what we want them to be but are real so thank you so much again, Aynn. We so appreciate it. Aynn: You’re so welcome. Thanks for having me.